Windstar Cruises is offering three itineraries and 42 shore excursions in the upcoming Caribbean season on Wind Surf and Wind Spirit. The Wind Surf’s seven-day “Flavors of the Caribbean” itinerary sails round-trip from Philipsburg, St. Maarten, and visits Le Marin, Martinique; Pigeon Island, St. Lucia; Roseau, Dominica; Falmouth Harbour, Antigua; and Gustavia, St. Barts. Departure dates are Dec. 31, Jan. 14, Jan. 28, Feb. 11, Feb. 25, March 10 and March 24. Cruise fares start at $2,299 per person, double occupancy. The Wind Surf also operates the seven-day “Yachtsman’s Caribbean” round-trip from Philipsburg to Soper’s Hole, Tortola; Jost van Dyke and Virgin Gorda, BVI; Basseterre, St. Kitts; Les Saintes, Guadeloupe; and Gustavia, St. Barts. Overnights are scheduled in Jost van Dyke and Virgin Gorda. Departure dates are Dec. 24, Jan. 7, Feb. 4, Feb. 18, March 3 and March 17. Cruise fares start at $2,299 per person, double occupancy. The Wind Spirit’s seven-day “Jewels of the Windward Islands” sails round-trip from Bridgetown, Barbados, and visits Pigeon Island; Bequia, Tobago Keys and Mayreau, The Grenadines; and St. George’s, Grenada. An overnight is planned in Tobago Keys. Departure dates are Dec. 31, Jan. 7, Jan. 14, Jan. 21, Jan. 28, Feb. 4, Feb. 11, Feb. 18, Feb. 25, March 10 and March 17. 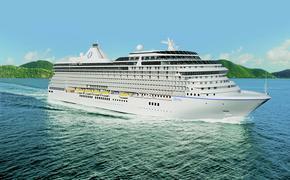 Cruise fares start at $2,399 per person, double occupancy. For more information, call 800-258-7245 or visit www.WindstarCruises.com.